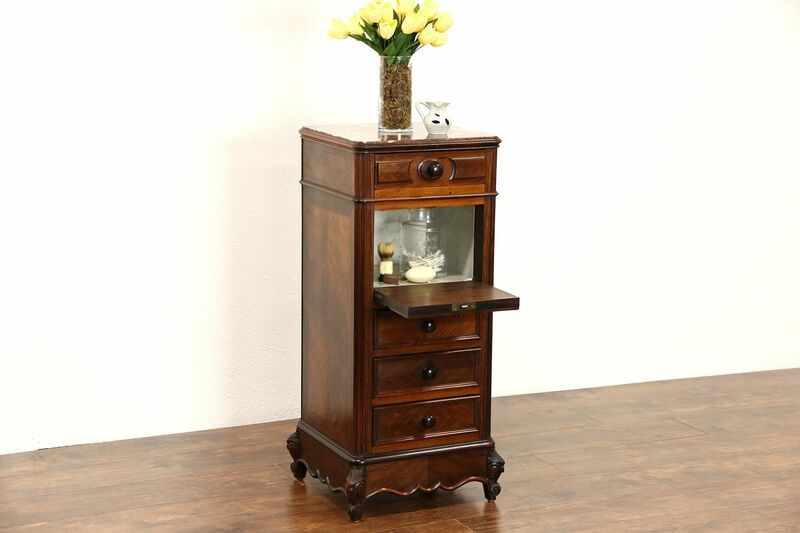 This nightstand or pedestal was hand carved of genuine rosewood about 1890 in France. Genuine rosewood has beautiful grain and a superb restored finish. The marble top has been polished and sealed to resist stains. Two false drawer fronts open to a marble lined compartment on this elegant antique furniture. Drawers have solid oak sides with hand cut dovetail joints. Measurements are 17" square and 36 1/2" tall.